Architects, health and safety coordinators, building owners and building operators are faced with numerous legal regulations and safety provisions in their work. They bear responsibility for user safety and must take appropriate structural measures. The evacuation plan as part of the fire protection concept is a crucial component of every building plan, and often includes guiding a second escape route over the roof. Various standards and laws regulate escape route design. With Barrial® Corridor, you can meet the legal requirements for safe, sustainable protection and escape and maintenance route subsurfaces in the best way possible. The self-supporting design of Barrial® Corridor ensures that any penetration and resulting damage to the delicate cladding is avoided. 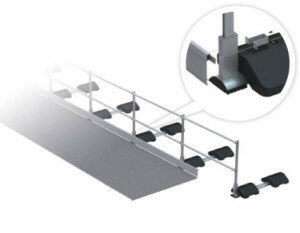 The system is designed in such a way that a direct connection with the subsurface is not required. As a result, all liability risks and warranty claims, for instance due to leaks in the roof sealing, are excluded from the outset. The sophisticated pre-fabrication of most components, as well as their low dead weight, enables straightforward, quick fitting. Elaborate and expensive sealing work is not required at all. Barrial® Corridor is tested and certified according to the standard: DIN ISO 14094-2. Model 1 Ideal as an escape or maintenance route with a railing guide on one side for embedding in gravel embankments and green roofing. Possible path covering: Grille (non-slip), concrete slabs or no covering. 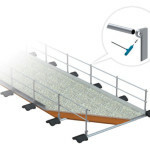 Model 2 Ideal as an escape or maintenance route with a railing guide on one or both sides for embedding in gravel embankments and green roofing. Possible path covering: Grille (non-slip) or concrete slabs. Model 3a and 3b Escape and maintenance route with concrete slabs as an applied load in two variants: with a railing guide on one side (model 3a) or both sides (model 3b). The slabs are laid in a pre-existing grid of rails. 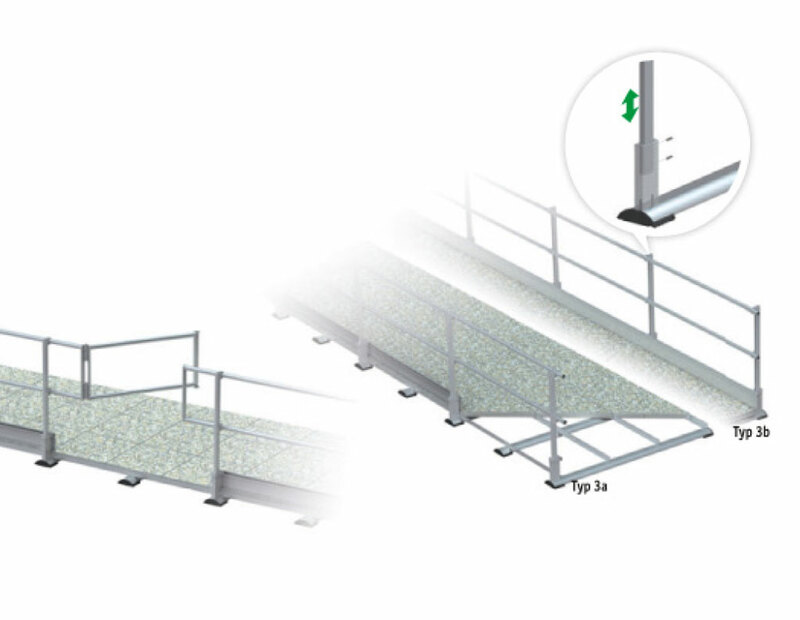 As the slab covering acts as an applied load at the same time, no additional weights are required. Service that goes the extra mile! 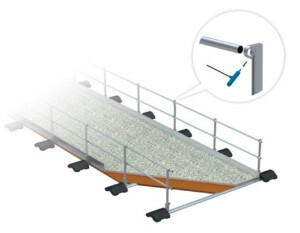 We offer you comprehensive advice when selecting an appropriate type of railing. CAD planning software that we developed in-house takes over detailed planning and generates the required fitting plans and item lists. Packing and delivery as per building phases, detailed installation instructions, as well as certified partner businesses for fitting and service ensure that the process is smooth. Contact us – we will be happy to advise you!